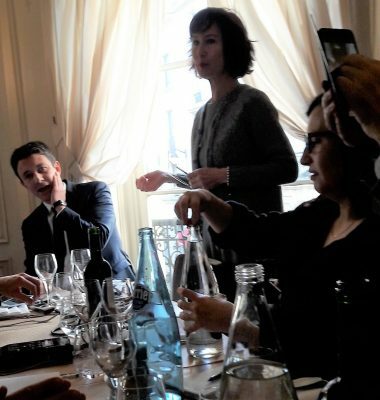 Brexit, Germany, European parliamentary elections, the economy, Islam in France, and Corsican nationalism were among the many topics government spokesman and cabinet member Benjamin Griveaux discussed with the AAPA at a meeting on February 12. 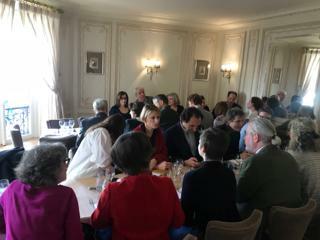 Griveaux was spokesman for Emmanuel Macron’s election campaign and over lunch with 28 members of the Association, he recounted the foundation of Macron’s En marche! movement. 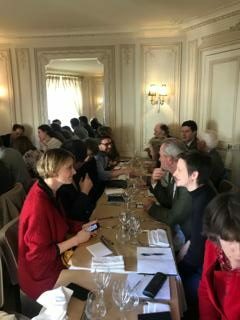 As a candidate, Macron organised a country-wide grande marche to determine what the French people wanted from the future. US President Donald Trump has invited Macron for a state visit to Washington in late April. Trump said in January he might keep the US in the Paris climate accord because of his warm relationship with Macron. Griveaux said the two leaders will certainly discuss the climate accord and multilateralism – in particular in the Middle East – when Macron goes to Washington. “They will probably talk about the status of Jerusalem”.